Load Hog® Helper Springs are a revolutionary patented suspension system designed to dramatically improve handling and stability of pick-ups and 4x4's whilst carrying maximum rated loads. 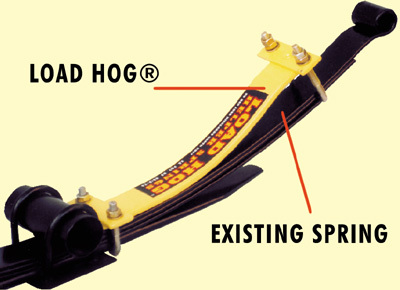 Load Hog® Helper Springs are ideally suited to vehicles carrying both occasional and permanent loads. 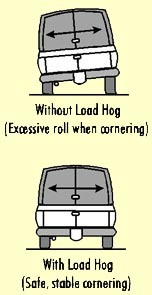 The Load Hog® systems' unique progressive action varies the rate of support depending on the load, so even the handling on an un-loaded vehicle is enhanced without compromising a smooth ride. • Fitted In 20 Minutes. or any export equiries click on map.